Inês Mendes Pinto, PharmD, PhD is a staff researcher in the Nanomedicine group at INL and her research fields of interest include mechanomedicine and biosensing. She joined INL in 2014 as a Marie Curie Fellow and shortly after she became the head of the Nanomedicine unit, until 2016. Inês Mendes Pinto conducted her doctoral and postdoctoral research in molecular medicine at Harvard University, Harvard Medical School and Stowers Institute for Medical Research, USA. 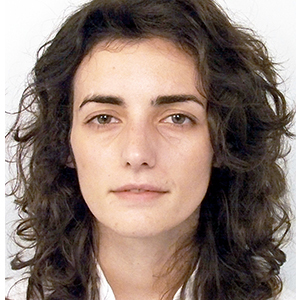 In 2017, Ines Mendes Pinto was awarded the I3S-Hovione Capital Health Innovation Prize.